Just a few rants before I am out the door this morning. No, I am not attending the World Economic Forum at Davos. 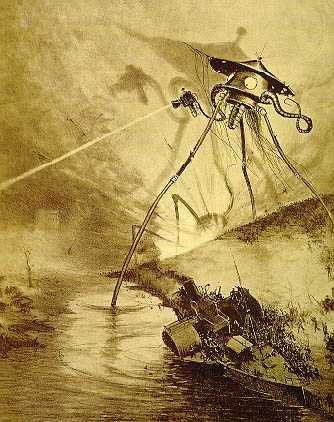 I watched the State of the Union address last night, and was immediately taken with the generally lukewarm response from both sides.Recently, I listened to the 1938 broadcast of Orson Welles adaptation of the War of the Worlds. At a certain point in the story, man has exhausted all of his attempts to destroy the alien menace. And this moment of desperation is captured brilliantly by his performance. This is in many ways the sense I get from our elected officials, and it was visible, at least to me, while watching the Union Performance. The President wants the American people to buckle down under new financial austerity measures, and yet almost everyone understands that the government economic policies (do what the finance sector says) , banks and the financial services sector got us into this mess. We the American people bailed out B of A, Morgan Stanley, Goldman Sachs, you name it, and yet record bonuses were on tap for 2010. This statement on the part of the President is simply a renewal of the same financial plundering previously inflicted on us. How about we instead bring back the Glass-Steagall Act, and sever banking capabilities from sophisticated, rigged financial poker games? Just for a start. He also wants us to move forward in building our renewable energy capabilities. This sounds great at first pass. But one million electric cars by 2015? This is simply not aggressive enough, for a variety of reasons. Why not specifically tie electric vehicle production with things like massive, American made offshore wind farms and tidal power turbines? Scotland, yes Scotland, is taking the lead in the West, building up their wind and tidal capabilities so much that Europe is chomping at the bit, anxious to get on their grid? And why can’t we design and sell electric cars that have home based solar panels as part of a bundled offer? The point of getting us to a strong renewable energy state will have less to do with global warming. China and India will literally burn through huge reserves of oil and coal over the next twenty years. And nothing America can do will stop it. But we can achieve a much higher level of energy independence. And this should be one of the pillars of our new economic plan, but it simply won’t happen at the pace outlined by the Administration. It also seems that our Administration is banking on new, as yet undiscovered technology game changers, as part of a larger research initiative. Why the wishful thinking when we have the technology we need? Why the renewed commitment to education, when we need jobs? Sorry Mr. President, but the reality is that even if we had 300 million really well educated people here, we still need to get many of the jobs back from China, Mexico, and India. Besides, it is a big enough drag now having to deal with so many unemployed, well educated hipsters at the local coffee shop. Many in my circle of friends feel that Democrats and Republicans are mere pawns to the financial oligarchy. I was not so shocked to see Immelt join the Obama team. Business as usual. Why isn’t America working to reduce the energy footprint of the internet? By some estimates, internet usage accounts for 5-10 % of current energy consumption. Here is another area where technology and education could work hand in hand. I just finished reading the 2011 Edelman Trust Barometer, and found it to be fascinating. However, and this is entirely subjective on my part, it seemed watered down by the socioeconomic make up of the participants. Is this based on the possibility that they are interviewing clients? If so, I think Edelman should think about expanding their study for 2012 to include different socioeconomic classes, and non clients. Just a thought.